The kitchen. It’s the hottest room in the house, so it deserves your full attention. 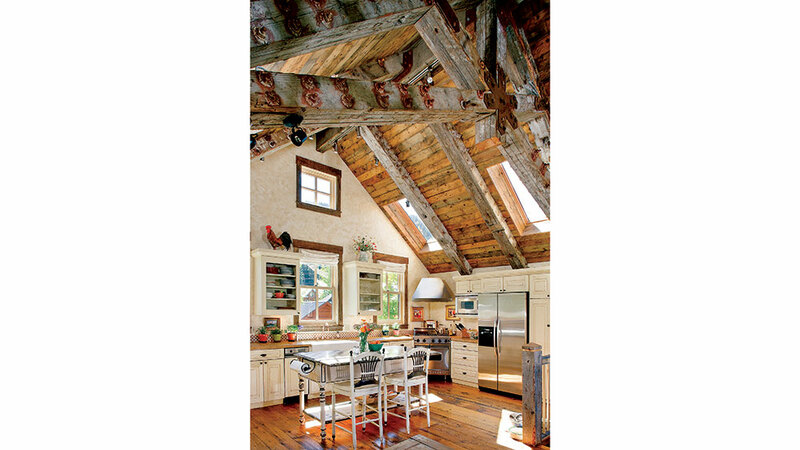 Use our gallery of gorgeous timber frame farmhouse kitchens, as well as our helpful hints, to create the perfect design for your home. 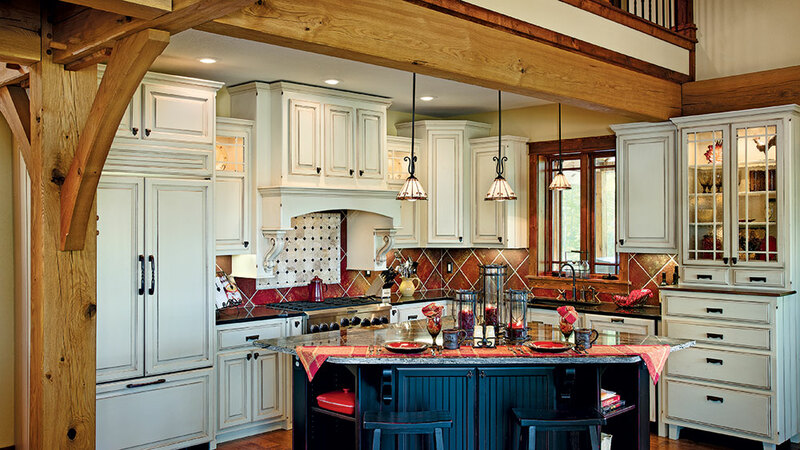 Though it can be pricey, opting for custom-built cabinetry allows you total control over your kitchen’s look and function. 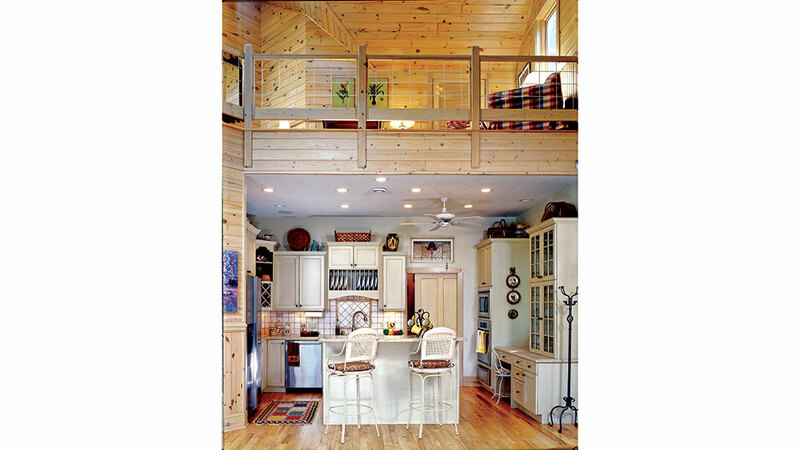 Here, the owner opted for cabinets of varying heights, finishes and styles, including a hutch built to look like a separate piece of furniture for that “unfitted” look. The kitchen is also completely ADA compliant, so the owners have peace of mind that it will continue to serve them well as they age. This modest cottage kitchen has all the essentials packed into a small space. Tucked beneath a loft, the efficient U-shaped design is outfitted with a glass-front hutch that boasts a built-in desk; the small island has seating for two; the pantry features a pocket door that prevents lost usable square footage due to door swing; and a plate rack, wine rack and bulkhead above the cabinets gives the extra storage a small space needs. Cream cabinets help keep the compact room bright and open. vibe to this brand-new kitchen. 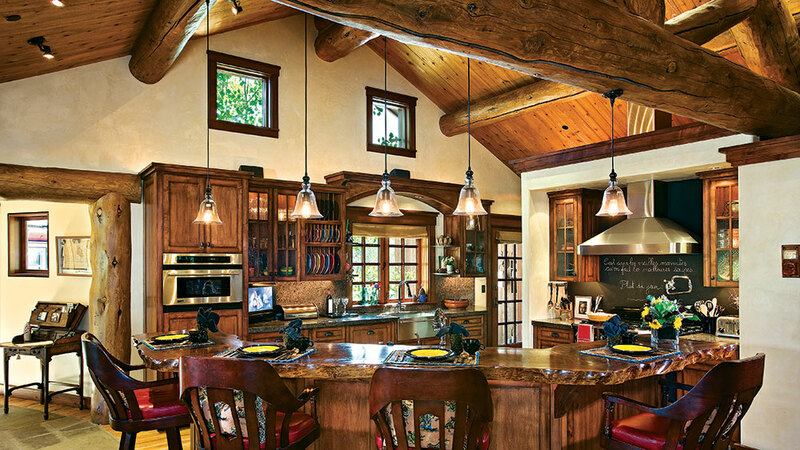 Rustic elegance abounds in this open-concept kitchen. 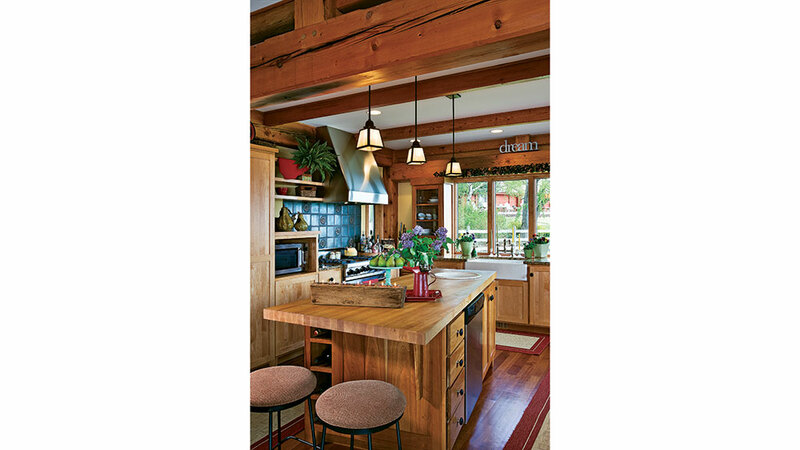 A slab of black walnut, with a live-edge finishing treatment, tops the angled island that can seat a crowd. Open shelving for plates, seeded-glass pendant lights and chalkboard paint behind the range add of-the-moment homestead style, while the brushed-nickel farmhouse sink gives it a modern twist. This cozy kitchen oozes farmhouse charm. White, hand-distressed cabinetry and golden buckskin sandstone counters harmonize with the subtle, creamy faux finish on the walls. Reclaimed wood overhead echoes the antique heart pine hardwood floor. To infuse the room with light, skylights and a clerestory window let the sunshine in. Even the frame is in keeping with the rugged theme — rough-hewn timbers feature rusted-metal fasteners.